Always wanted to create facebook page without personal account? Well, thankfully there is a way to do that and we'll show it to you step-by-step. Ever since Facebook got into the user data manipulation scandal, a lot of people lost trust in it. Elon Musk deleting Tesla's and SpaceX Facebook pages came as a prominent example of the same. So, if the same fact worries you too you might want to remove your personal profile from Facebook. A lot of people removed their Facebook profiles when the #deleteFacebook campaign was alive. People were suddenly wary of their privacy and the information they share on Facebook. But at the same time, a lot of them were business accounts that had to take care of their pages on Facebook. This meant that their business would suffer if they let go of their profiles. Therefore, people started thinking of ways to create Facebook page without personal account. Until recently, there was no option to do anything without a personal profile. The answer is the Facebook Business account. Facebook wants people to use the platform even if they don't have a Facebook profile. 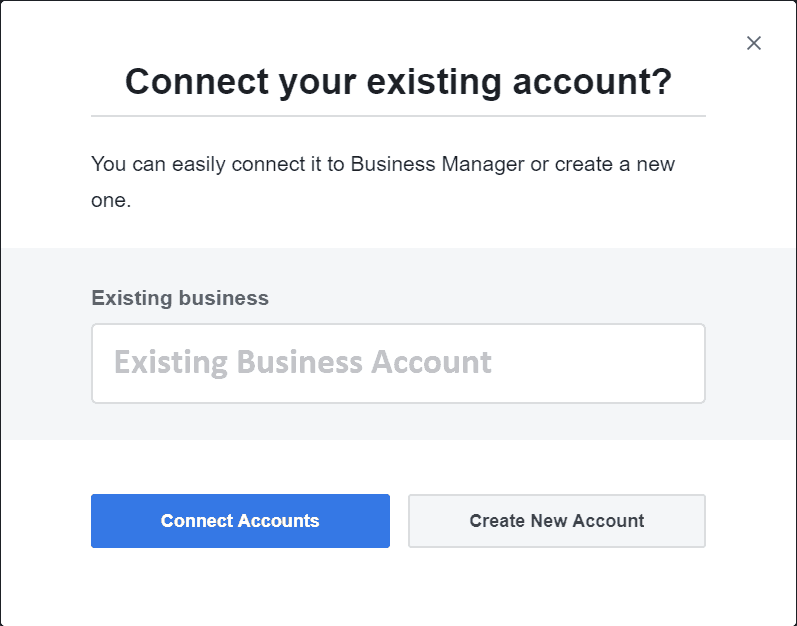 People who engage in business activities such as creating Facebook ads or managing Facebook pages can use the Facebook Business account. The Business account allows you to manage a number of Facebook pages from one place. You can view various insights related to the pages and control what you want to post on the pages. You can do all this without having to log in to a particular page separately. All you need is permissions to manage the page. You can manage ad campaigns across Facebook for whatever page you like. 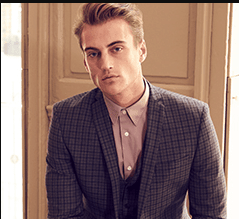 All the data related to the ad campaign will be visible on your business page. You can add multiple ad accounts and view cumulative data for all of them. If different clients have different payment options, the account allows that too. The business page allows you to create Facebook page without personal account and still access all of the page features. You won't be able to interact on Facebook like other people do though. You can post content on the page you manage and control its activities. We can't like other pages or view other Facebook profiles, which is an extra advantage for people who don't want to use Facebook at all. You get a lot of data insights from Facebook's analytics support. You can view the ad traffic and engagement while also getting page notifications. Easily check how your posts are working and make improvements. Even the analytics can be viewed separately for each page to make things easier. In its essence, the Facebook page manager is for professional marketers. Nonetheless, it works the best for people who want to create Facebook page without personal account. In case you plan on taking up Facebook marketing professionally, the account will help you a lot. 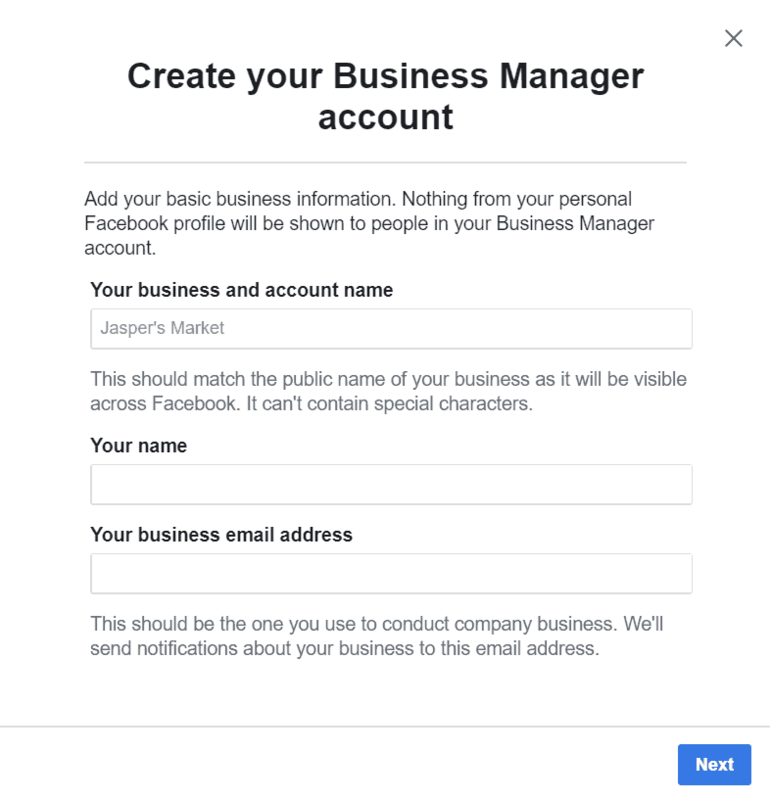 In order to make a Facebook Business Manager account, you'll need some basic information business information. Here is how to create a business facebook page without a personal account 2018. 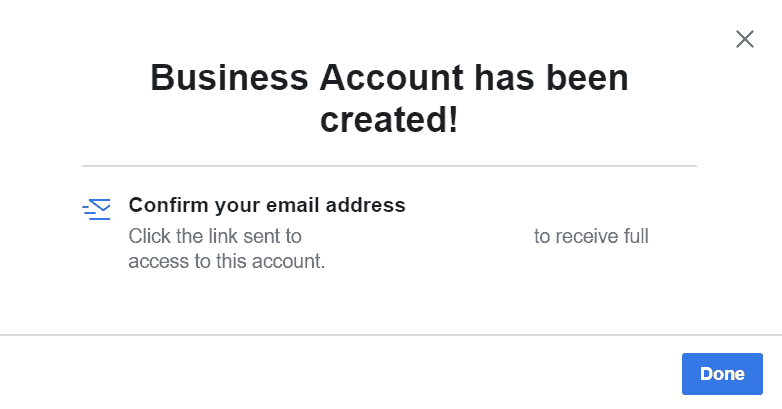 Head to Busines.facebook.com and click on the top right corner button that says, "Create Account"
If you already have a Facebook page meant for business, you can select it from the list. If it's not there, you can create a new one from the options given in the dialogue box. 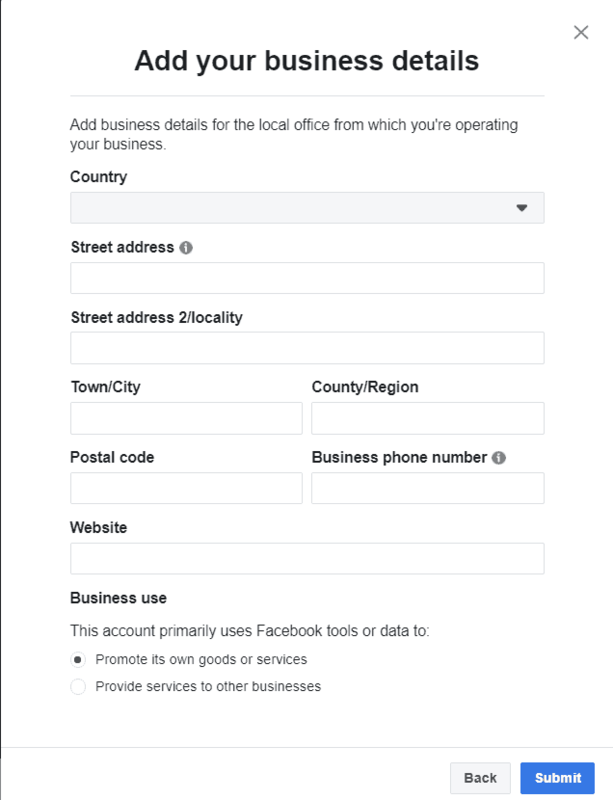 In case you have a Facebook page but it's not marked as a business, please do that from Page settings. Name your Business Manager account in order to keep a track of things. You can also change the name on the account. If you need to add more details to the Manager account, they will be done in the next step. At last, provide your business email address to move to the Next step. Business email is the one used for your website or company. Now you may add all the necessary details of your business. Add them accurately so that you don't have to make changes later on. Make sure you choose the last option carefully. If you want to use the account for only your page, select the first option. Alternatively, if you want to use it for multiple accounts choose the second option. Voila! Your business account is all ready to use. You just have to confirm your business email now by clicking the confirmation link in your business inbox. When you have got your business account ready, you will see that a lot of Facebook's features are missing. Following are the things that the business account doesn't provide. The Business account is strictly for business. Someone can't view do activities that you'd do generally on Facebook, such as looking up profiles or interacting with other profiles. Someone won't be able to send friend requests to other people on Facebook. You can, however, add collaborators for your projects. The business manager account lets you gain access to other pages and work on them. Similarly, you can add people to your account for assigning permissions. You can't as much as view anything posted on Facebook other than your own page. We can, however, control what your audience views and engages with. The settings on your business manager account will be very different than a profile. The Business manager account mainly controls three things on Facebook. You can control all the activities related to a page. You can make new posts, run ads and create engagement for the business. New pages are also creatable using the manager account. One of the best way to create Facebook page without personal account. 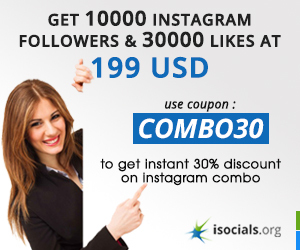 Ad accounts come under Facebook Ad manager which manages traffic for Instagram as well. You can integrate your Ad Account to Facebook Ad Manager easily and control everything from one place. You can still use an independent Ad account if you need. If you have a number of people working on the same account, you can add them too. The manager account allows you to grant access to people whom you want to give management responsibilities too. Suppose you create Facebook page without personal account but now you want one. What to do? Would you have to create a new profile? The answer is no. You can simply upgrade you Business account to a standard Facebook profile and do as per your thing. Log in to your Facebook Business account and click on "Create Your Profile". You will be asked to choose a name for the profile and other basic information. Complete the given information and sign up for a personal profile. 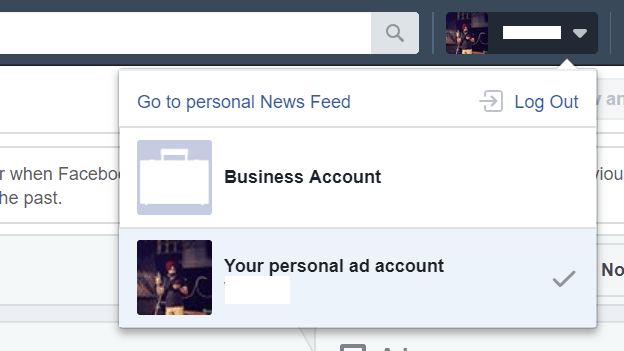 Once, you have a Facebook personal profile, you can manage ads from the "Applications" tab. You can still come back to your Facebook Manager account easily by logging back in. Your profile becomes an independent identity on Facebook. You can choose to associate with Facebook or not. If you want to show yourself as an Admin of the business page. That's also possible. Many people often confuse Ads account with the business account. But they are two aspects of the same things. You create ads using the Ads Account and control various ads features using it. The manager account will be able to look at the analytics and make distinctions for particular pages. You can run ads using the manager account but they're created in the Ads Manager account. These are minor differences that shouldn't be ignored while making a business account. In the end, we will say that it is possible to create Facebook page without personal account. You can keep the business responsibilities and personal privacy separate on Facebook. A lot of people who are running profesional pages on Facebook don't want personal profiles. It's one of the best options for them to make do on Facebook. You can easily run ads on Facebook, make campaigns and view analytics. We have explained all the steps on How to create a business Facebook page without a personal account 2018. If you want further assistance, you can read the terms and conditions at the Facebook Business Help Center. So, join in the professionalism on Facebook and promote your brand without a worry. Facebook is still a great place to sell things online with its marketplace and create a brand image. There are tons of other things such as events and video features that are great for marketing. Use them all wisely today! ← How To Monetize YouTube Channel And Start Making Money!